Usually when a game comes out – especially one that’s sold as well as Civilization VI – literally everything has been done in 24 hours: all the Easter eggs will have been found; every secret uncovered; every hidden option unlocked; every exploit discovered; and every achievement nailed. That’s not the case for Civ VI though, as there are still four achievements not a single person has managed – at least not while signed in online. Loving Civ VI? 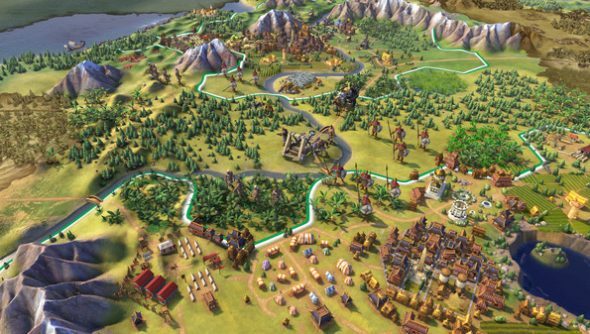 Check out our list of the best strategy games for more like it. The strategy sequel has 100 achievements and, out of those, there are four that 0% of players have unlocked, which is really surprising considering it’s been out for ten days already. Check out the full list of achievements and their completion stats on Steam. As America make a National Park of Crater Lake and both tiles of Yosemite in one game. Activate Leonardo da Vinci in New York with Great Works from Michelangelo and Donatello – and a sewer – all in that city. Use a bomber class unit to detonate a nuclear device, as long as its base and 9 Observation Balloons are located on the continent of Nena at the time.